A six-day retreat led by Lama Michael Conklin and Tim Campbell, exploring the mind training tradition of Tibetan Buddhism. Lama Michael Conklin and Tim Campbell will conduct a six-day Mind Training retreat at KCC's retreat center near Goldendale, Washington. The retreat dates are November 8-14. In the West, the Mind Training tradition is one of the most popular and most effective approaches to Buddhist meditation. In the beginning of the retreat we will focus on developing a fundamental conceptual understanding of the foundational tenets underpinning the Mind Training tradition. We will also focus on developing a deeper experiential relationship with the Mind Training practices. This two-fold approach of deepening our conceptual and experiential understanding will follow throughout the retreat. We will continue the exploration led by Khenpo Rinpoche on transforming adversities in the path of spiritual transformation. As the retreat progresses we will go deeper, and together, we will explore how to use these practices most effectively, on and off the cushion. The framework for the retreat will be the Four Immeasurables, the Five Poisons and the Seven-Points of Mind Training. 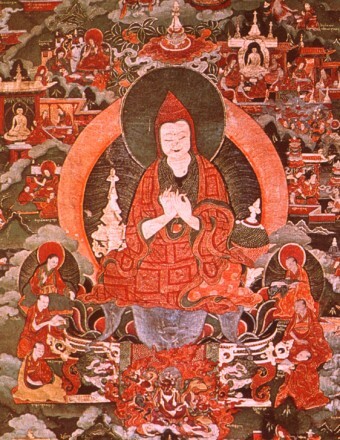 The Lojong, or Mind Tradition of Tibetan Buddhism has been described as a complete path to enlightenment. Please join us as we explore and deepen our understanding and experience of this jewel of the Dharma. We want each attendee to commit to attending the entire retreat. Since the retreat may fill, we are asking for your commitment to attend the entire retreat.